Here’s an exclusive glimpse of the totally mad family musical, Alice In Wonderland, now touring the UK. Imagination runs wild, and logic is abandoned, in this fantastical, larger-than-life musical brimming with nonsensical fun and excitement. 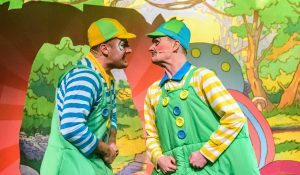 Immersion Theatre’s brand new musical adaptation of Alice in Wonderland is written and directed by James Tobias, with music from Rob Gathercole. 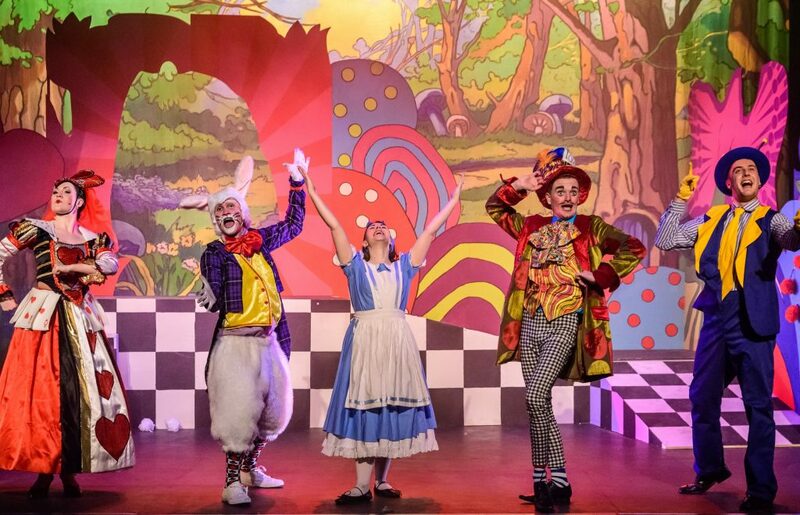 Follow Alice and the White Rabbit as they set off on a colourful, topsy-turvy adventure like no other and meet a host of outlandish characters including the troublesome twins, Tweedle Dum and Tweedle Dee, the notorious Queen of Hearts, the Cheshire Cat and the Mad Hatter! Immersion Theatre has won critical and public acclaim for their productions and here they bring their trademark energy to their most spectacularly bonkers show to date. Starring Leah Pinney, Jake Mitchell, Zoe Littleton, Tom Whalley and Peter Watts.